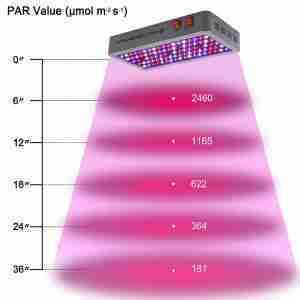 Home » Grow Light Reviews » VIPARSPECTRA 450W LED Grow Light Review- Is Worth Your Money? People who grow indoor plants like to use a small light panel with significant power. In that case, 450 or 500 watts of LED grow panel is a smart choice. One can easily add more panels according to space or need. And compare than one big panel’s cost having 2/3 panels at one place is more cost saving. But a 450w of LED light panel either singly or with more panels work better than any sodium grow lights. If you have other settings like watering, ventilation, pest-control and all, it’s possible a grow light could offer its best as it is possible. 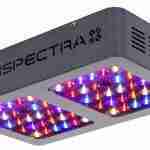 In this VIPARSPECTRA 450W LED Grow Light Review we are to discuss A to Z about this product. Let’s see what it offers differently than others and more importantly, is it worth or not your money. Does the light come with any timer or temp control system? How much power the light consumes? Does the light come with any dimmer? Is the panel suitable to run with any solar system? You have more access to control the lights if you have VIPARSPECTRA 450W LED Grow Lights. Because it has different spectrum mainly created for vegetation and flowering stage of any plants. This LED grow light has separate settings for bloom and vegetation remarked as VEG and BLOOM. Most of the time grow light consist one setting especially the in the cheap one. But with this panel, you can choose according to your expectation from the cultivation if you are more apt to grow green leaves then on the Veg mode and save power. For flowering, you need to activate both switches. This organic light panel offers full spectrum which needs to grow a plant from feeding on blooming. Notably, the red, white, blue, orange and UV, IR rays are must to maintain proper growth for every category of plants. So, you get the same benefits that you would get from sunlight, even better. Because here you can control the spectrum and timing also. 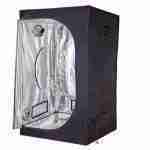 This best growing light panel is 15/8 in size. That can quickly cover a 2/3 growing tent. However, if you have a larger room add two or more panels. The panel is designed to increase PAR output 50% more than general LED lights. The design reflects more light to the plant. But, when the light works, it works subtly. It would not be concentrated too far in the middle of the tent which might suit the plants. This also causes slow growth and sun burning. The great convenience of the light panel other than its full spectrum is the daisy chain capabilities. That doesn’t about this feature let me explain you. The daisy chain features give you add multiple grow light together with less power outlet. Infect you don’t need any extra cord for adding multiple light panels. All you need to plug in the power cord of Viparsectra into the second light’s outlet to achieve connection between more unites. This grows light panel comes fully set. Even ordinary people with general knowledge can install and use it. All you need to select place inside the tent or room measure the right position and hang it well. It’s better to have a good ventilation system inside of the tent. Yes, the light has hanging hook for hang it. It has a cooling fan to keep the temp down. It comes with 5ft long power cord which makes easy to reach most of the power cord near the tent. 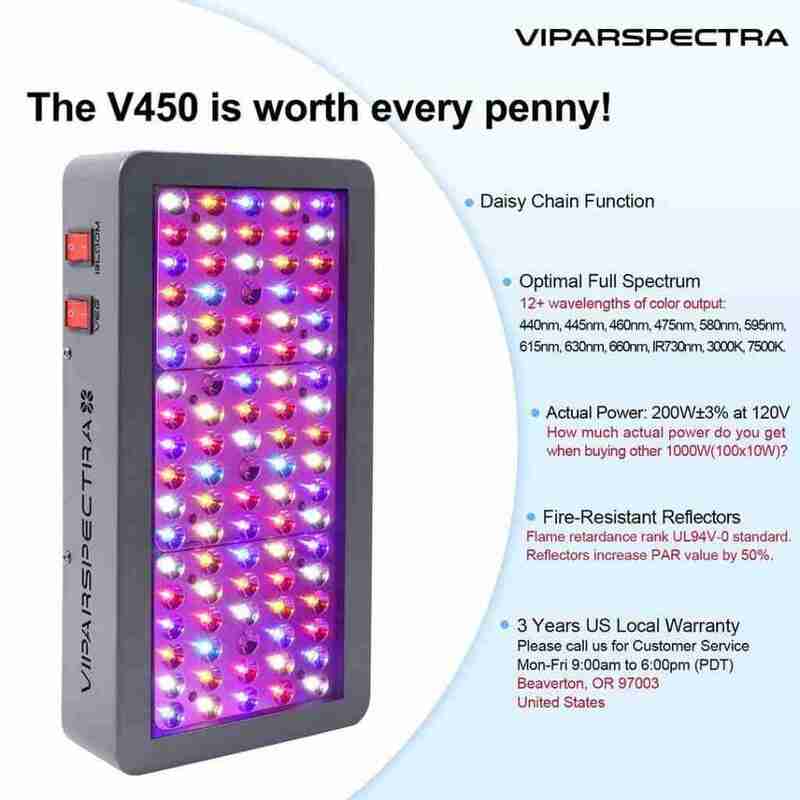 Here are features of the Viparspectra 450W grow light. Read to learn all the essential technical features it. Best for large space of growing setups. Two different switches for Vegetation period and Blooming. Low power consumption, so you save money on monthly electricity bills. Does not heat up efficiently as if running for a long time. Lightweight, easy to set and use. Comes with 3 years of warranty with 30 days of the refunding option. In some case, you may need to on the blooming switch on for a longer time as the product recommended. Nope, but you can buy timer or temp control separately for more convenience. It’s very quiet. For more specific, you can compare it as your standard PC fan. Compare than 400w other lights it HPS light it only consumes 200w. No, it’s a plug-and-play type device, there is no dimmer added in it. As long it gets enough power you can use any energy source to run it. So, in my VIPARSPECTRA 450W LED Grow Light Review I tried to explain what my research and experience got to know during the test. I work with an amateur grower who has a bunch of cannabis for her medical testing. She shared her knowledge and let me try the light and take care of her garden. I think it is better than any 500 watts grower light and easy to maintain. If you are the one who wants a hassle-free grow light panel that works fine, you should try this one. 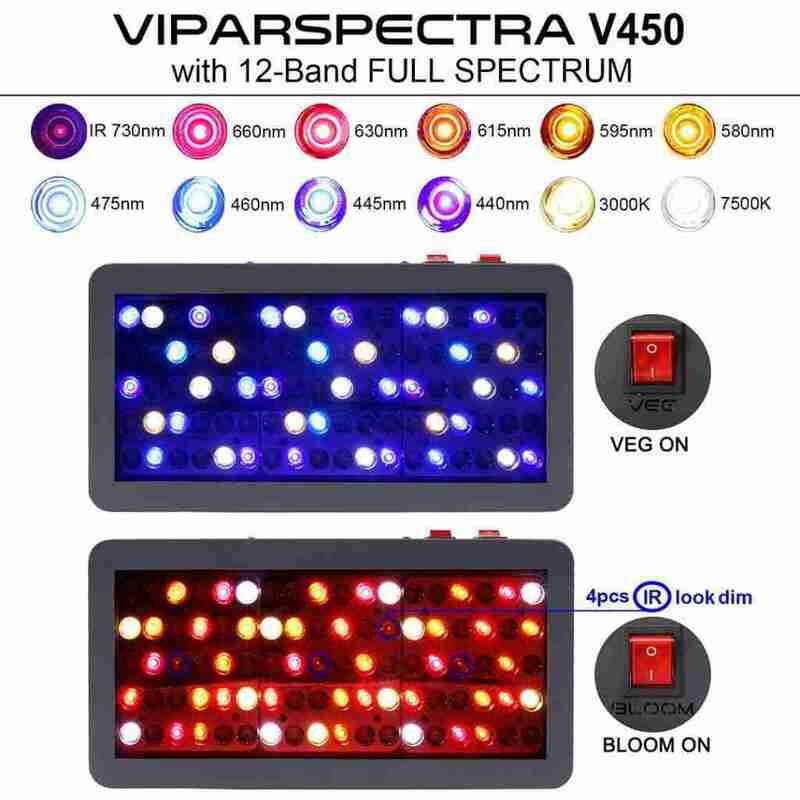 So, after the discussion, I hope you would consider this best LED growing light to get with the help of VIPARSPECTRA 450W LED grow light review and finally purchase one. Don’t forget to share your experience with us if you get this one. Till then, Happy growing!